Exit Planet Dust is the debut studio album by English electronic music duo The Chemical Brothers, released in the UK on 26 June 1995 and the US on 15 August 1995. 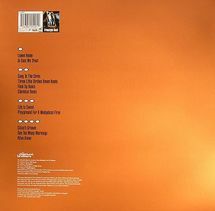 The album was recorded between August and November 1994, with "Song to the Siren" performed live. The title is a reference to their departure from their earlier name The Dust Brothers.